“Today you’re going to make seven dishes for your dinner,” Rocio our chef and soon-to-be tutor at Quinta de San Amaro enthused. It was already gone 7pm and with a no-work, no-eat task ahead, my group of travel writers felt rather daunted. We were fine with eating to Spanish time, but would we really be able to cook these authentic Spanish recipes in time to actually eat them today? Next Rocio introduced us to some of the ingredients we’d be using. 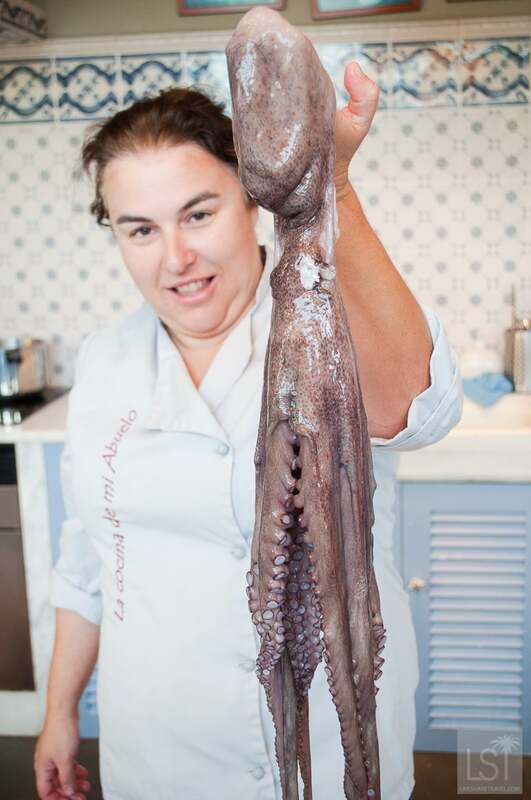 First she thrust an octopus head-first into the air so its tentacles hung long beneath it. 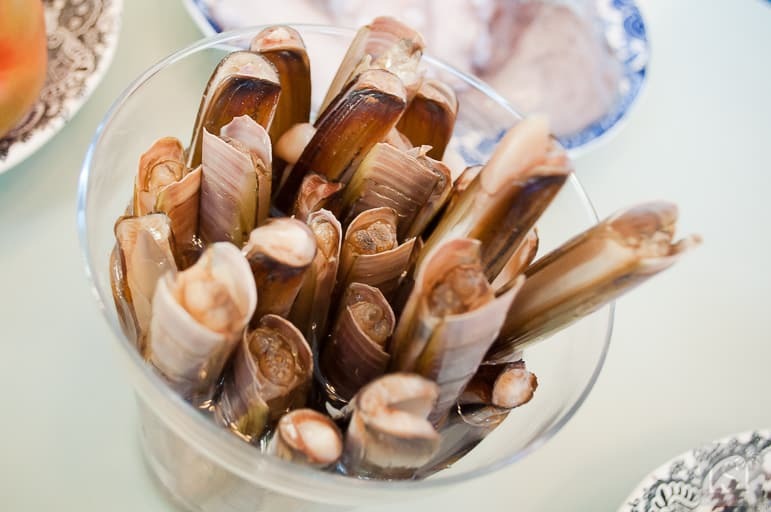 Then she drew our attention to a glass full of long razor clams, their shells open for us to see their occupants. Next up in this seafood fest were clams and mussels, all of whom were firmly hidden away from view, and large, pink prawns also in their shells. 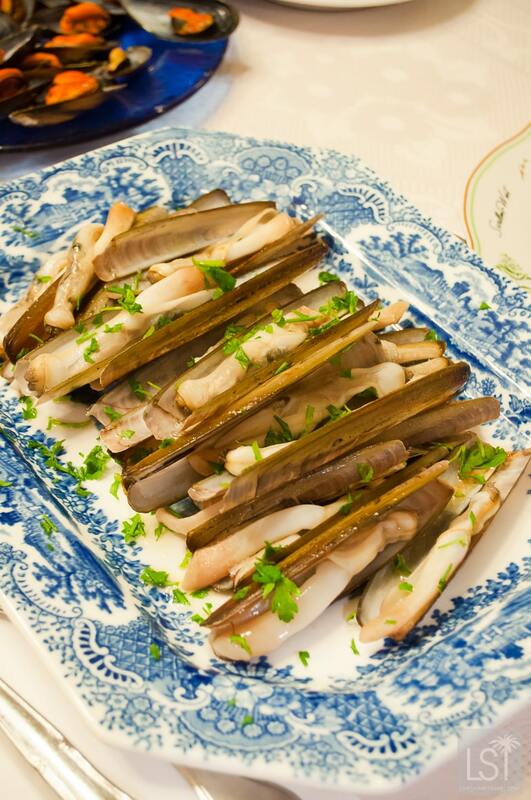 Then she drew our attention to a glass full of long razor clams, their shells open for us to see their occupants. Next up in this seafood fest were clams and mussels, all of whom were firmly hidden away from view, and large, pink prawns also in their shells. 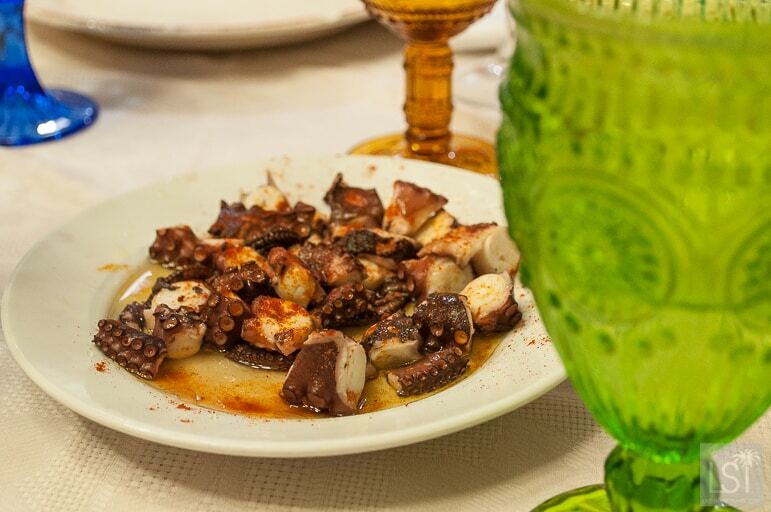 With Spanish recipes like Galician empanada tuna, octopus “a feira”, and seafood rice on the menu, we could only be in one region of the country. 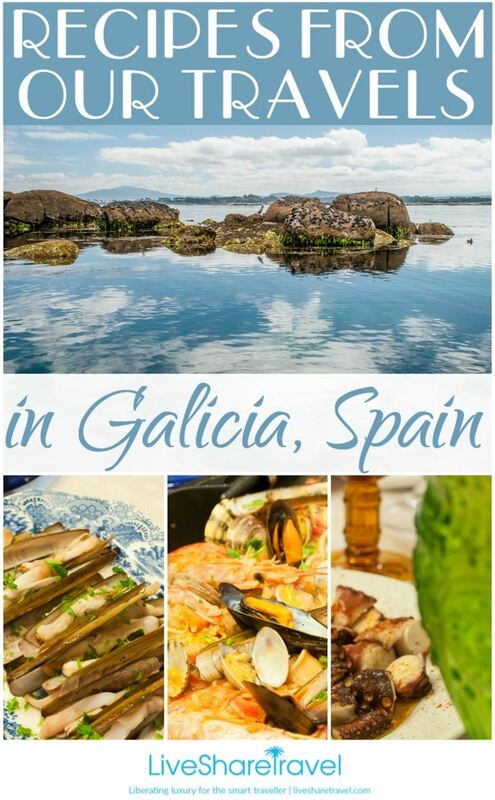 Galicia, in the north of Spain, is famous for a long heritage of fishing and, naturally then, it’s fine seafood. 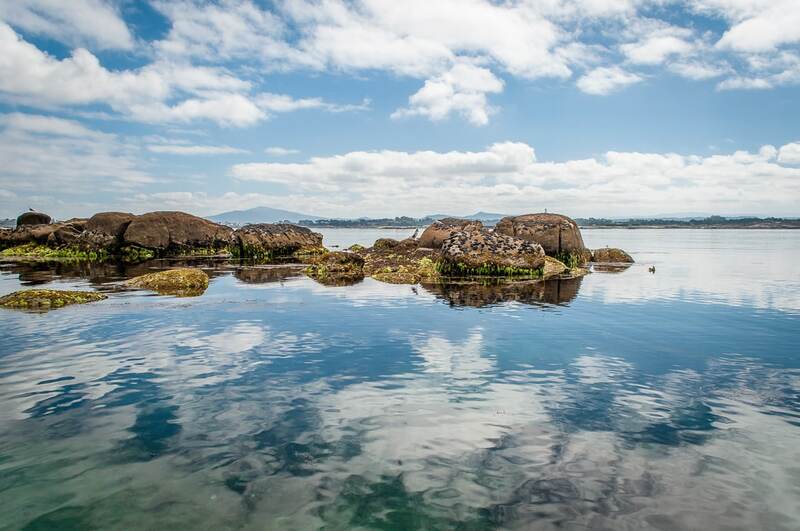 We’d spent already spent a day tasting its other great export – Albariñio wine – the Rias Baíxas’ wine region’s most famous export. 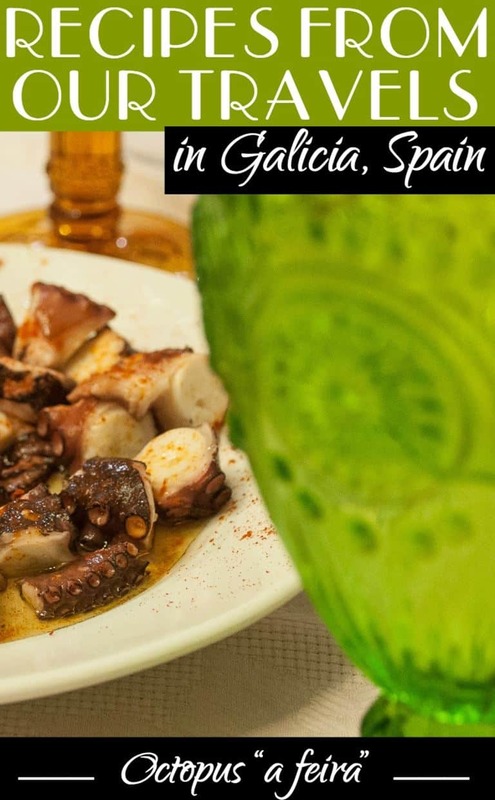 And now it was time to pair the wine with Galicia’s most authentic recipes. In no time, Rocio set us each to work with tasks from chopping onions, to cleaning mussels and rolling pastry for the empanada. 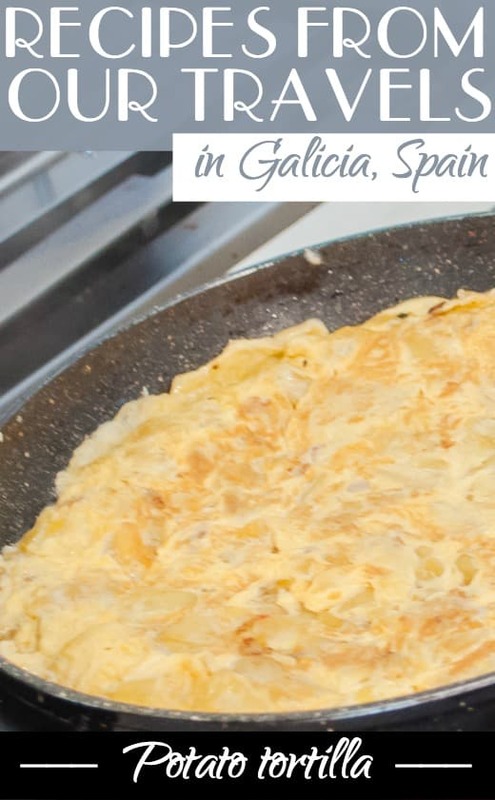 While the octopus boiled in a large pan of water, we beat eggs for Santiago cake, flipped tortilla in a frying pan, and sunk shellfish into the gloop of a seafood rice. Glasses clinking we emulated the likes of television chef Keith Floyd and paired our cooking with a bottle or two of Albariño. They say many hands make light work, and it couldn’t have been truer that evening. Steam rising, pans clanging, we were soon serving up our meal and feasting family-style over yet more Albariño. 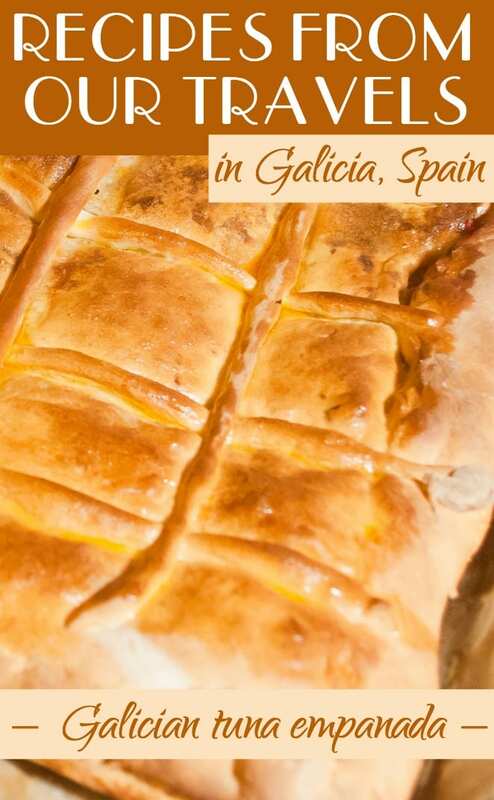 With expanding waistbands we were soon full but happy, having discovered the delicious taste of the Galician kitchen. We also learned a number of super easy to make Spanish recipes that we could take home with us – a great souvenir from our trip. Now it’s your turn to try them for yourself. Peel and wash the potatoes, then cut them into thin slices. Cut the onion into small pieces. Heat plenty of olive oil in a frying pan. When the oil is hot add the potatoes and the onion to the pan and fry for about ten minutes, stirring occasionally. Stir in a little salt. Whisk the eggs well and add a little salt. Whisk the eggs well and add a little salt. 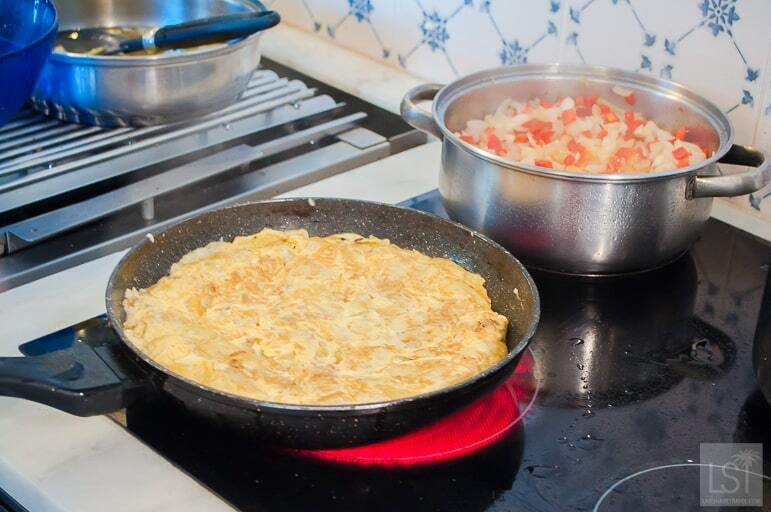 Remove the potatoes and onion from the oil, drain well and mix with the beaten eggs. Put the pan on the heat again with a little oil and pour in the egg, potato and onion mixture. Cook it for about three minutes then cover and flip it onto a dish, then slide back into the pan to cook the other side. After two minutes place on a plate to serve and cut into slices. Prepare the dough by diluting the yeast and salt in the water, then add in the rest of the ingredients and knead until the dough is elastic. Allow to rest for half an hour, meanwhile, prepare the filling. Put in a pie with a little olive oil on the heat, and add the chopped onion. When it is almost transparent add the red pepper. Fry well adding in the Albariño wine. Let the alcohol reduce then remove from the heat and drain the oil. Allow to cool. 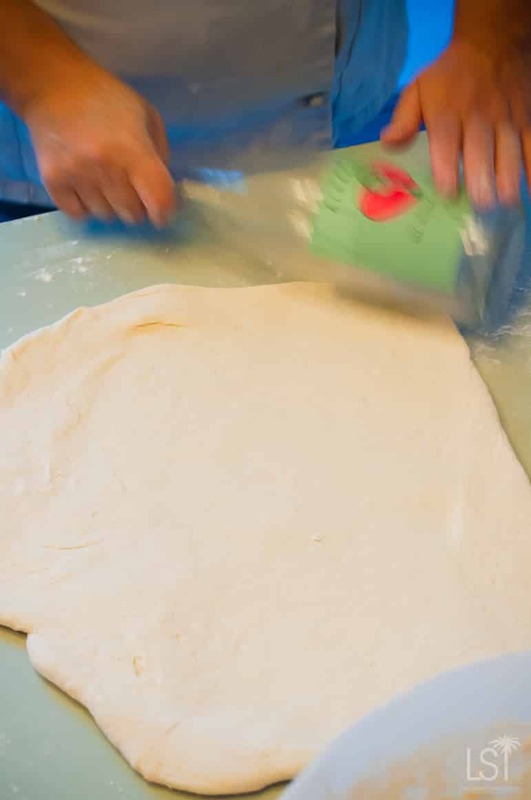 Divide the dough into two and roll one of them out with a rolling pin, put on an oven tray lined with greaseproof paper. Next add the well-drained onion and pepper, and sprinkle on the tuna from the oil of the can). Roll out the other piece of dough and place on top of the empanada, sealing the edges, then make a hole in the centre of the pie to allow steam to escape. 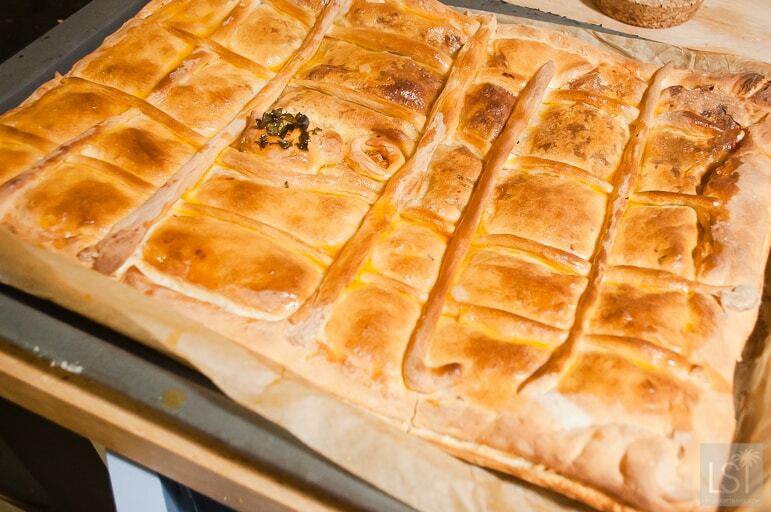 Decorate with strips of dough then cook in an oven warmed to 180ºC for 30 minutes. When cooked, use a pastry brush to cover the pastry topping with a little of the oil used to fry the onion and pepper to add lustre. Allow to cool and it’s ready to eat. 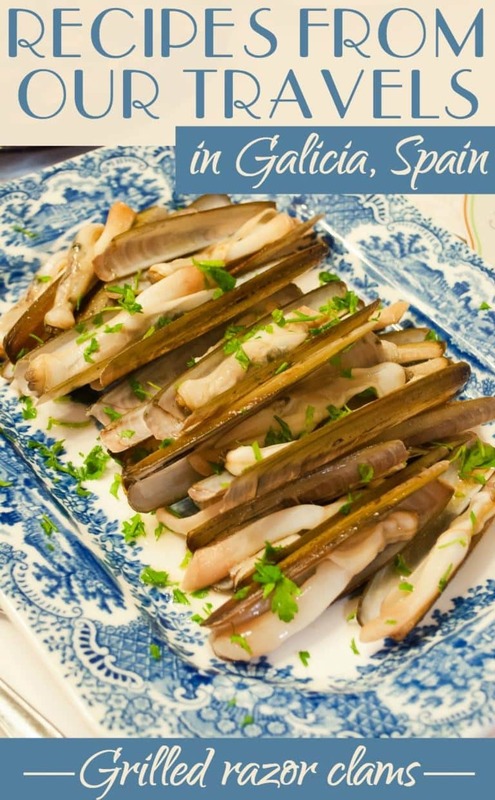 Warm a little olive oil in a frying pan, when this hot add the razor clams. Let the shells open, then turn them. After five minutes plate them up and sprinkle on a little chopped parsley. 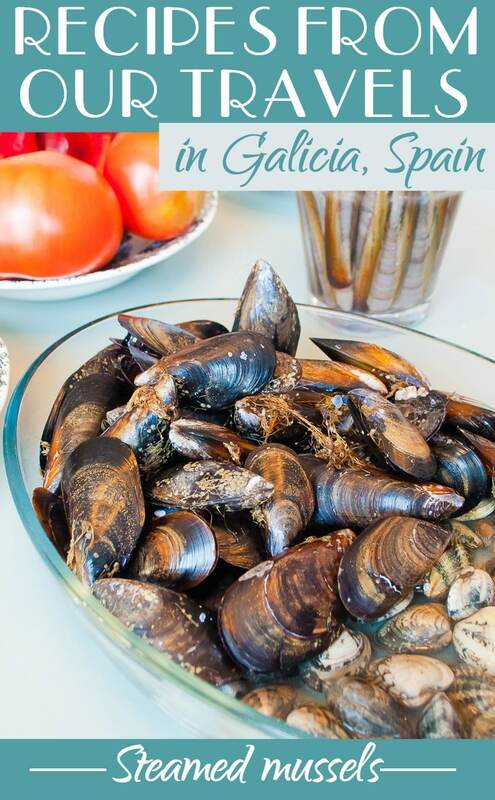 Wash the mussels well and place into a casserole dish, add the water and the Albariño wine. Place on the hob over a medium heat for about 10 minutes. 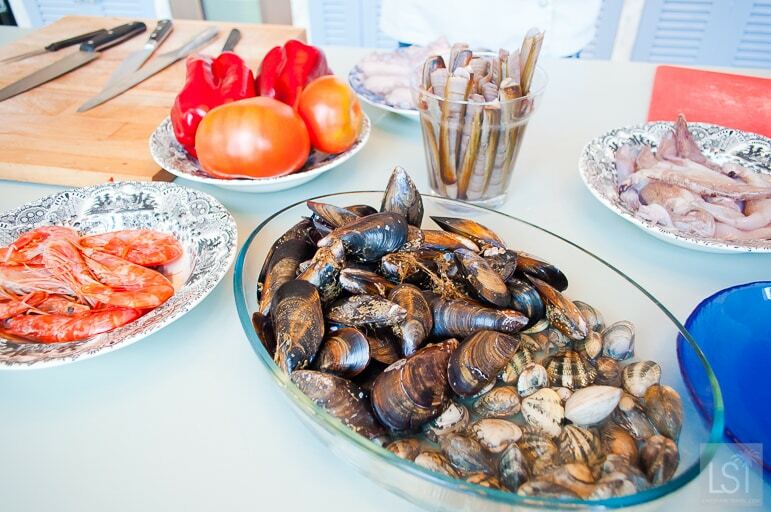 Remove from the heat, ensuring only to serve mussels where the shells have opened. Serve with lemon. Put a large saucepan full of water on to boil. Lower the octopus into the water and out again three times, in a technique called scare the octopus, which tenderises the octopus. 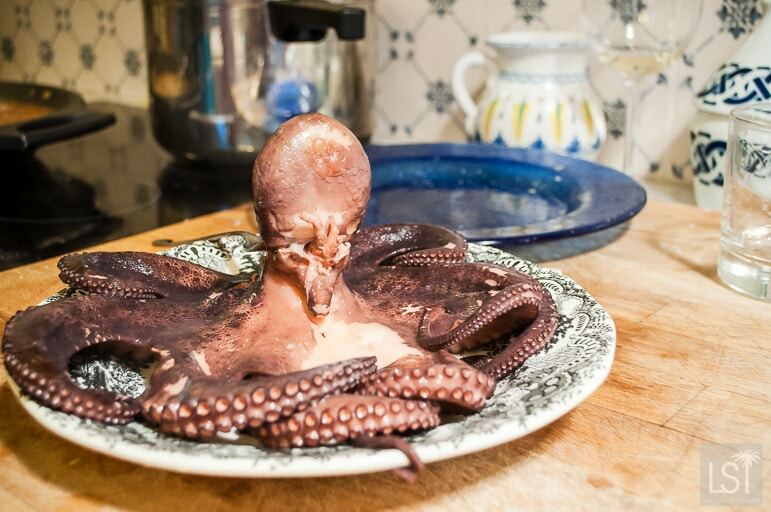 Wait for the water to boil again and put the octopus into the saucepan, ensuring it is covered by the water. Boil for 20 minutes, then remove from the heat and allow it rest for 5 to 10 minutes in the water. Chop the sliced octopus while it is hot. Sprinkle with a little sea salt then pour over extra virgin olive oil and finish by sprinkling paprika to taste. 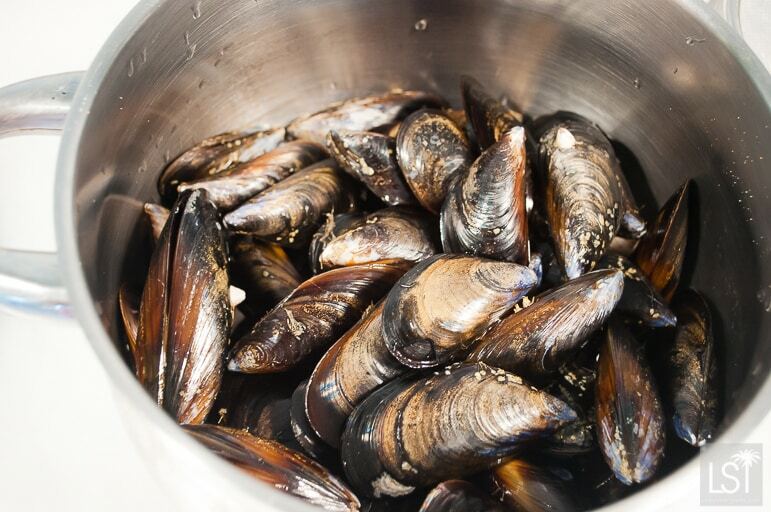 Steam the mussels to open them and set aside for later. 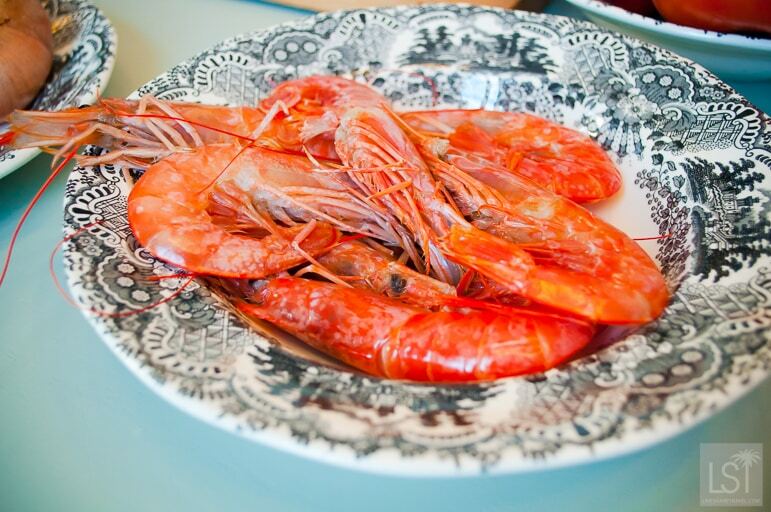 To make the fish stock, peel the prawns and sauté the shells in a saucepan with a dash of olive oil for five minutes. Add water and simmer for 20 minutes. Meanwhile finely chop the red peppers, tomatoes, garlic and spring onion. Put the paella pan on the stove with a small amount of oil and add the vegetables a little at a time – first the onion and garlic, then the peppers and finally the tomato, sautéing them well. Clean the squid and cut it into slices. Add to the sautéed vegetables and then the rice. Cook for a couple of minutes while stirring, add a little saffron and the fish stock. Cook for a further 10 minutes then add the clams and razor clams, then the prawns. Cook for another five minutes and then place the mussels on top. Taste for salt and add more if necessary. Add a little milled pepper and chopped parsley. Turn off the stove and let the rice rest for a few minutes before serving. 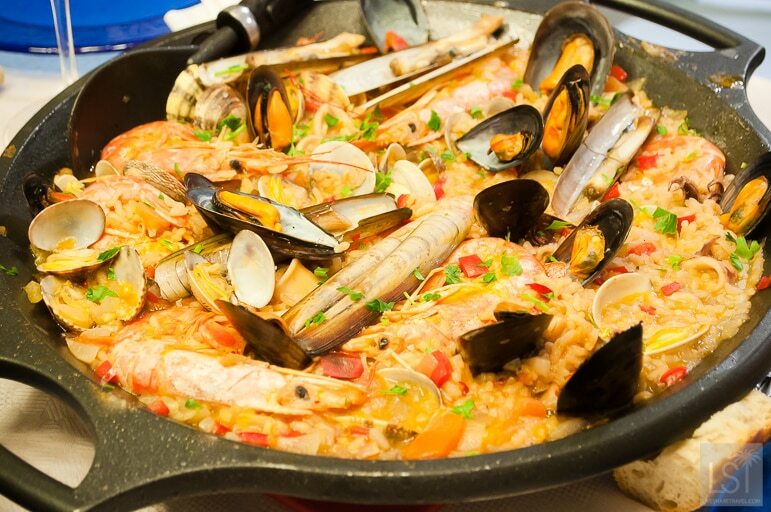 Serve the seafood rice caldoso, which means “liquidy” in a bowl. Heat the oven to 170ºC. Mix the ground almond with sugar, lemon zest and cinnamon, then add the eggs one by one and beat them. Pour the mixture into a greased tin of around 22cm and bake in the oven for 25-30 min. Remove from the oven and cool. 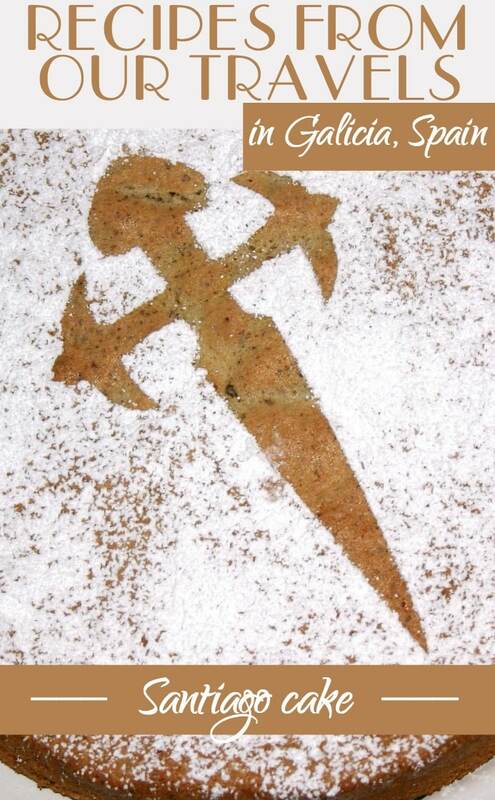 Sprinkle with sugar and Rocio recommends you enjoy the Santiago cake in the best company. Some great ideas here for people who are into cooking. 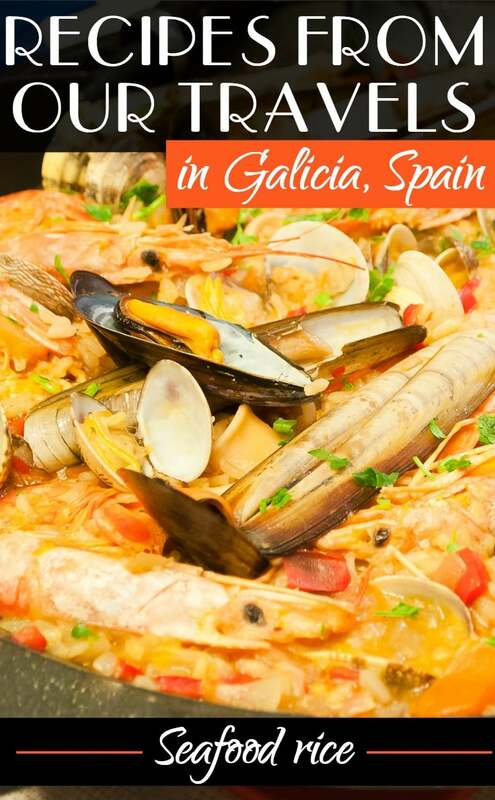 I’m a fan of seafood and cuisine for around Spain. I reckon I’ll be trying that seafood rice after my next trip to the fish market at North Shields.